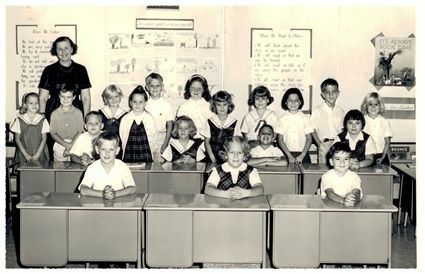 The concept of a college preparatory school in Fort Worth began in 1961 when a group of parents were discussing the importance of education and a concern about sending their children to boarding school in preparation for entrance to Ivy League universities. As interest for a college prep school in Fort Worth grew, a plan to pursue the concept to reality was developed under the leadership of Perry Bass, Thomas M. Ryan and Rufus Garrett. Peter A. Schwartz, Headmaster of Pembroke Country Day in Kansas City, was recruited as headmaster of the future school. One of Mr. Schwartz’s first challenges was to hire a talented diversified faculty for a nonexistent school. He was successful, and on Sept. 9, 1963, just nine months after breaking ground, 210 students began classes in grades 1-9. The need for additional space was soon recognized and the Annie Richardson Bass Lower School was completed by the opening of the second year of the school. 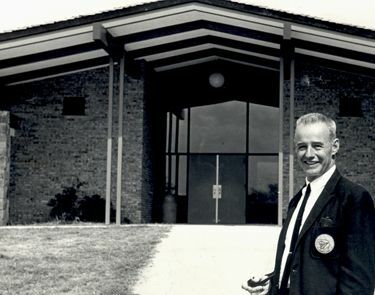 Classrooms in the Sid Richardson Gymnasium, completed in 1967, continued to meet the need of an expanding enrollment. The school campus continued to expand through the next three decades. The 1970s and early ’80s was a time of major construction as eight new buildings and annexes were built. To complete the campus as it was in 2001, three additional buildings were built during the 1990s. Over the years, improvements have enhanced the original site while maintaining the style of the three original buildings and the use of native stone. In celebration of the school’s 35th birthday, Trustees Plaza was built to honor its former and current trustees who have given and give so much of themselves to the continued success of the school. In addition to the trustees, Fort Worth Country Day School is the fine academic institution that it is today because of the dedication of many supportive parents, faculty, and alumni throughout its history. As Fort Worth Country Day grew, an active parents association played an important role in the life of the school. One of the school’s strongest assets is the Parent Faculty Association and its dedicated members who volunteer countless hours to every facet of the schools’ life to make it a better place for the teachers, staff and students. While the parents are supportive of the school, the faculty is as well. Fort Worth Country Day has always had a dedicated professional staff committed to the students and school. To show that commitment, they established the Faculty Endowed Scholarship in 1994 and within two years the scholarship was large enough to aid a student. In 1997, Club Viginti was established for faculty and staff who have given 20 or more years of service to Fort Worth Country Day. The club has a current membership of 46. FWCD has an active Alumni Association of 2,400 members that is governed by an Alumni Council. The Association recognizes members through several awards made annually and by honoring FWCD graduates who qualify for the Pro Sports Wall of Fame, the Wall of Fame and Buehler Hall of Science. 144 children of alumni have graduated from Fort Worth Country Day and 282 children of alumni are currently enrolled as students in the school. Fort Worth Country Day has had five outstanding headmasters. Founding Headmaster Peter Schwartz (1963-1976) had the support of the founding trustees to take their vision and establish an excellent school that excelled in athletics and the arts as well as academics. 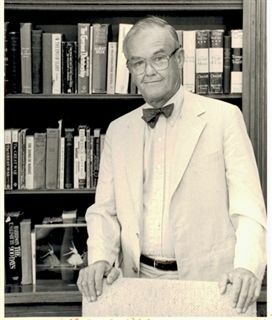 The second headmaster was Edgar “Ted” Sanford (1976-1987). In addition to establishing faculty salaries and benefits that were competitive and attractive to the very best teachers, Mr. Sanford was supportive of the arts program. Geoffrey Butler (1987-1996), the third headmaster, led the school during the transition from half-day to full-day kindergarten and upper school students establishing an Honor Code. Under the leadership of Headmaster F. Graham Brown (1996-2001), campus landscaping and beautification was a priority. Peter Briggs, Jr. served as interim headmaster for the 2001-02 school term. The year-long national search brought Evan D. Peterson home to Fort Worth Country Day. Mr. Peterson had previously served as Upper School Division Head from 1986-1992 prior to taking the Head of School position at Hampton Roads Academy in Virginia. Under the leadership of Mr. Peterson, Learning. Leading. Legacy. A Campaign for FWCDS was launched in 2003. The $18 million campaign had three goals. 1) to establish an endowment to enhance faculty compensation 2) to establish an endowment to support student financial aid 3) to construct community and dining facilities and to integrate the original cafeteria as part of new visual arts center. $21 million was raised as a result of the campaign. The Fischer Dining Pavilion opened in 2008 and the Sid Richardson Visual Arts Centers opened in 2009. The Louella and Nicholas Martin Campus Center is scheduled to open in 2010. Over the years, Fort Worth Country Day has never lost its vision of being a college preparatory school that offers its students the best in academics, athletics and the arts. At the original entrance to the campus, the school proudly flies the blue ribbon flag for selection in 1999 as an exemplary upper school and one of the top three fine arts programs in the nation. As today’s students wear uniforms of the original plaid fabric, we know that the past can be identified, and we shall continue the original quest to be a school for which quality of the total human is valued with honor and respect. Destined to Flourish 1963–2013, Fort Worth Country Day’s 50th anniversary commemorative book, is a book you are bound to cherish for years to come. Rich in text and filled with images that depict the 50-year journey of the School, this 82-page book tells the story of Fort Worth’s first co-educational independent school. Whether you are alumni; current or past parents; faculty and staff; or a current/former/founding Trustee, you will want this conversation piece that celebrates Fort Worth Country Day’s first 50 years. To purchase a copy, contact Shannon Allen at 817.302.3244 or shannon.allen@fwcd.com.